TORAYCA™ Carbon-fiber prepreg certified as primary structural material for Boeing passenger aircraft. Toray Industries, Inc. Europe Office (now Toray Industries Europe GmbH in Germany) completed in the U.K.
Toray Plastics (Malaysia) Sdn. Berhad established. Long-term corporate vision "AP-G 2000" formulated. 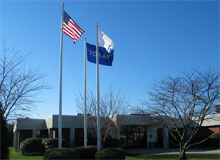 Toray Composite (America), Inc. established. 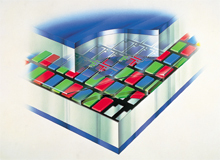 Marketing of TOPTICAL™ color filters began. Toray Sakai Printing & Dyeing (Nantong) Co., Ltd. (now Toray Sakai Weaving & Dyeing (Nantong) Co., Ltd.) established in China for dyeing polyester filament woven fabrics. P.T. Petnesia Resindo established in Indonesia for manufacturing PET resin. STEMCO, Ltd. established in Korea. Toray Fibers (Nantong) Co., Ltd. established in China. 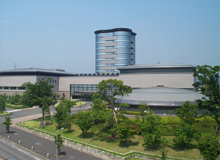 Toray Human Resources Development Center opened (Mishima). 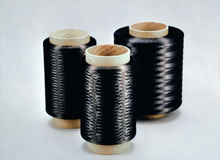 Toray Carbon Fibers America, Inc. established in the U.S.
Toray Textiles Central Europe s.r.o. established in the Czech Republic. 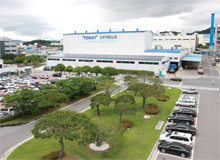 Toray Saehan Inc. (now Toray Advanced Materials Korea Inc.) established in the Republic of Korea.